Have you ever fancied being involved in the development of a play? There’s no need to be a playwright, actor or even a general arty type. Just turn up, watch and react. Each year in the Lawler we present the Cybec Readings, where writers, actors and directors come together for one day to rehearse a script and then present the fruits of their labour in the evening, in front of an audience. For an audience, the rawness and spontaneity that comes with seeing a new work in a semi-improvised state can be an absolute thrill. But for the playwright, the audience’s reaction is an important factor in shaping the tone and direction of the play. This year three talented playwrights will benefit from this exciting opportunity – Kate Mulvany, Richard Flanagan, and Daniel Keene. We thought we’d take a moment to tell you a little about them, and the works you’ll see at this year’s Cybec Readings. 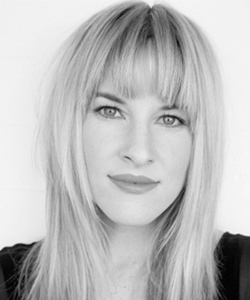 Kate Mulvany has several plays to her name and, as a playwright, is probably best known for her semi-autobiographical play The Seed which formed part of MTC’s 2012 mainstage season earlier this year. Some of her other plays include Father O’Friendly, Blood and Bone, Story Time, Derek Drives a Datsun, Vaseline Lollies, and Naked Ambition. And if being an award-winning playwright wasn’t enough, Kate also has an equally successful acting career, both on stage and screen, with recent appearances including Macbeth and Julius Caesar for Bell Shakespeare; and Rabbit for Sydney Theatre Company. Her television credits include, amongst others, The Hamster Wheel, The Underbelly Files: The Man Who Got Away, All Saints and Blue Heelers. She has also appeared in films Griff the Invisible, The Final Winter and will soon appear in Baz Luhrmann’s much anticipated The Great Gatsby. Set in Russia in the early 1900s The Rasputin Affair follows three aristocratic conspirators in their attempt to assassinate ‘the Mad Monk’ Rasputin, whose influence over the Tsar and Tsarina must be stopped. Commissioned by MTC, The Rasputin Affair will be presented on Thursday 27 September at 7pm. Watch an episode of Australian Story about Kate that aired earlier this year. 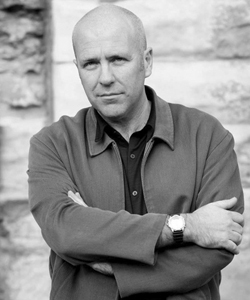 Richard Flanagan is a renowned author, essayist and environmentalist, and has also written and directed for the screen. His internationally acclaimed novels Death of a River Guide, The Sound of One Hand Clapping, Gould’s Book of Fish, The Unknown Terrorist, and Wanting, have received numerous honours and are published in twenty-six countries. Writing and directing a feature film version of The Sound of One Hand Clapping in 1998 earned him a nomination for the coveted Golden Bear prize at the Berlin Film Festival. Literary accomplishments aside, Richard’s portrait, painted by Geoffrey Dyer won the 2003 Archibald Prize, and a rapid on the Franklin River, Flanagan’s Surprise, is named after him. Ronnie Gospers is Richard’s first foray into playwriting. Rising political star Ronnie Gospers, finds herself trapped with her staff in an underground car park on ANZAC Day. With their mobile phones out of range and no means of communication to the outside world, Ronnie finds herself completely out of touch, and not only with her electorate. Ronnie Gospers will be presented on Friday 28 September at 7pm. Watch an episode of Australian Story about Richard that aired in 2008. 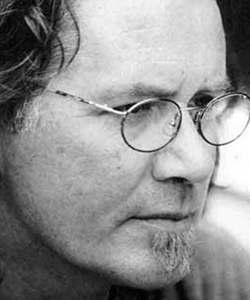 With a reputation for being a ‘poet of the streets’, multi-award winning writer Daniel Keene is a seasoned playwright. His plays have been staged throughout Australia, the United States and Europe for more than 30 years. He has enjoyed particular success in France with many of his works being translated and performed in French, to much acclaim, including Silent Partner, Elephant People and To Whom it May Concern. Over the past thirteen years Daniel has written more than ten commissions for various French theatre companies. For director Alkinos Tsilimidos (who directed John Logan’s Red for MTC earlier this year) he has written three screenplays: Silent Partner, Em 4 Jay and Tom White. Daniel’s play Life Without Me premiered as part of both MTC’s 2010 mainstage season and Melbourne Festival, and was nominated for The Age Critics’ Award. Leon and Francis are living out their long days and nights in the limbo of Ada Munroe’s boarding house. But what will become of them when a knock to the head makes Ada see a possible future shine like light through the crack of the heavy curtains. Commissioned by MTC, The Curtain will be presented on Saturday 29 September at 7pm. Watch a trailer for the film Tom White, screenplay by Daniel Keene. The Cybec Readings are proudly supported by The Cybec Foundation.